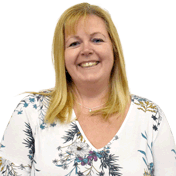 Hi I'm Justine, I am a fully qualified Government Approved Driving Instructor (ADI) and I am passionate about road safety. I became a driving instructor because I wanted a job with real satisfaction and there is nothing better than seeing someone pass their test first time. I was also always being told by friends and work colleagues that I was a calm and relaxed type of person and I would make a great Driving Instructor. I have always worked in customer focused roles within Insurance and Banking and think that dealing with customers from all backgrounds has given me a good grounding for dealing with all age groups. I am married and have two children. I am very conscious of the dangers young drivers face every day on the road. Because of this, I decided to teach safe driving and life skills, to help young people, make the right decisions throughout their lives. The LDC way of teaching enables me to instill these skills. Another reason I chose working with LDC is because everybody is different and the LD System allows for flexibility in lessons pupils can learn to drive safely at a rate that suits them. I aim to make every lesson enjoyable and as productive as possible. The LD System just helps me to do this more effectively. This makes the whole learning experience tailored to the individual. Lessons are always conducted in a calm, friendly and relaxed manner as I firmly believe in making pupils feel at ease during lessons. After all, they are my customers. Well I hope this gives you a brief idea about me and my motivations for teaching driving, Please feel free to click here to "Contact me" or call the number above if you would like to have a chat and or book lessons with me.